Del Piero has been a Dj since 1987. During the summer of 1998, he met the world famous Joe Claussel of Body & Soul from New York City while Joe was on tour in France. 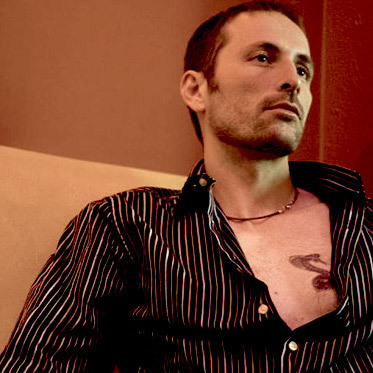 Following that meeting, Gregory decided to pursue his interest in music production and moved to San Francisco, where he worked alongside Mauricio Aviles at Zebra Records as a buyer in Zebra’s House Music section. While at Zebra, Gregory met Charles Spencer of Loveslap Recordings and began producing his signature sound – Deep and soulful house music. Few in the house music scene rise to the level of excellence required in their work to have their first ever professional track signed by such a respectable label as Subliminal Records. Even fewer producers manage to follow such an accomplishment with another piece of work on another stalwart name in underground house music – Black Vinyl. But Del Piero is such a Dj/Producer. His “double pack” titled “Don’t hesitate” on Subliminal Soul and his work on Black Vinyl called “Friend of the Blues” are considered two of the best pieces of house music produced during the last five years. 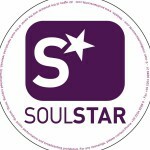 His third record “Won’t stop” featuring Latrice Barnett, is a dance floor “mover” signed on to Italy’s premium house label “Soulstar.” Gregory has fast become a highly sought after producer; his fourth record titled “Anytime” featuring LZ Love is scheduled for released on UK’s Swing City Records. He is currently working on a downtempo LP project with Charles Spencer and an EP with LZ Love. Interspersed between his production time and work duties, Del Piero still finds time to anchor a weekly party at Voda Lounge in San Francisco every Friday night. In addition, he is also a resident Dj for a monthly event at Straits in San Jose, California. Aside from his own residencies, he also plays at some of the best venues in the Bay Area along with some of the best Dj/Producers in the industry. As a dedicated and hard working producer, Gregory along with Alonso Ordonez of solid Trax & Greyhound are currently building their label Della Records. They plan to release a solo work and a remix by Miguel Migs shortly. Apart from an exceptional music & production talent, Gregory is one of those rare individuals in the industry in that he is level headed, down-to-hearth and unassuming in every day life. The combination of his musical talent and wonderful personality make him the one producer to watch in the coming years. Enjoy his music and celebrate another gift from the Bay Area to the dance music world!